In Post Office daily routine, Teller Cash Book is viewed often to cross-check the correctness of your work. The work may be as sending cash to Branch Offices, receiving cash from BOs/SOs, any vouchers entry etc. The below mentioned T-code will help you to view TCB of your office. 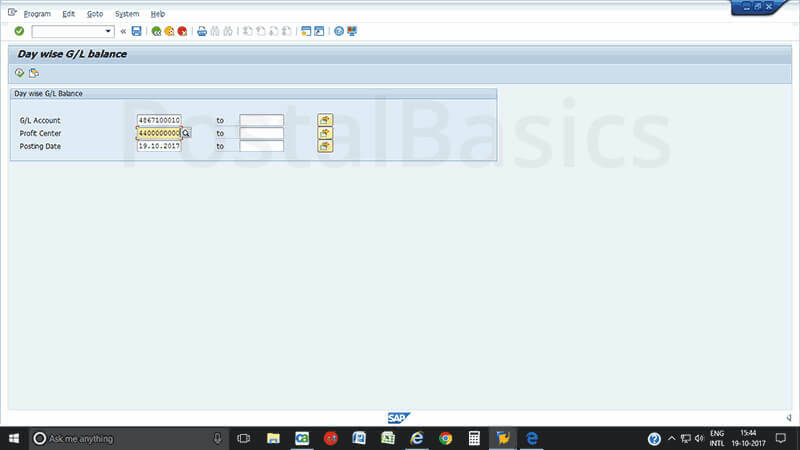 In SAP, type the T-code ZFBL3N. You should see the following screen. Profit Center 10 Digit Profit Center No. Now click on Execute. You will see this window. 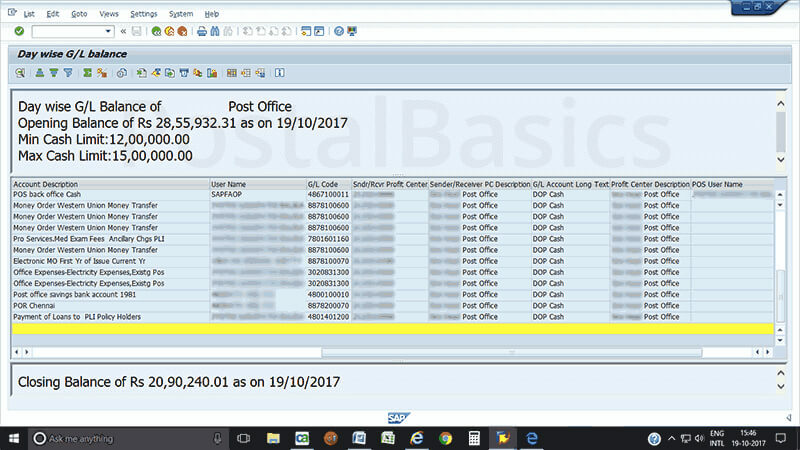 It shows opening balance, Document No., User Name, Receipt side, Payment side and Closing Balance. This is how you can view TCB in CSI Post Office.